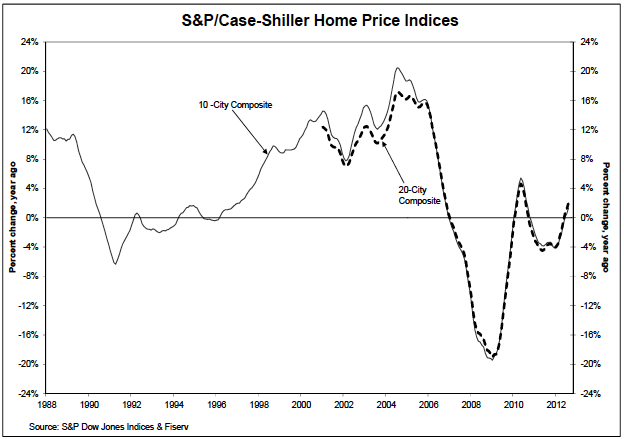 Home Prices Continued to Rise in August 2012 According to the S&P/Case-Shiller Home Price Indices. Greg Palast, author of Billionaires & Ballot Bandits: How to Steal an Election in 9 Easy Steps. ZeroHedge: The Incredible Shrinking Half-Life Of Central Bank Action. Zbigniew Brzezinski: The World Is More Vulnerable To Growing Global CHAOS! Larry Edelson: I’m also a realist. No matter who wins the U.S. presidential election come November 6 ― there is simply no way our country will ever make good on its gargantuan debts and pile of IOUs that now total as much as $212 trillion. Washington could raise taxes to 100% of your income, and the debt still wouldn’t be paid off. They could slash spending to zero, and the debt would not be paid off. The same applies to Europe. It’s drowning in debt and there is simply no combination of tax increases and austerity measures that will fix its problems, either. So what’s the solution then? It’s actually very simple. The world needs a new monetary system. New “rules of the game,” as central bankers like to call them. Thing is, that’s where we’re headed. Toward a new monetary system. But getting there won’t be easy. Right now, for instance, the world is mostly caught up in competitive currency devaluations. No country wants a currency that’s too strong for fear it will hurt exports and aggravate deleveraging and deflation. So the Fed prints money. Ditto for the European Central Bank. In fact, almost all major central banks are now printing money. They all think that money-printing will inflate away debt, cheapen their currency, revive exports and fix unemployment. But the fact of the matter is that no amount of money-printing will solve any of those problems. It’s not going to solve unemployment in the U.S. or in Europe. It’s not going to get rid of unpayable debts. It’s not going to fix unfunded pensions, Social Security, Medicare. It’s not going to rescue Europe’s zombie banks and governments. And it’s not going to build real wealth for anyone. At best, all it will do is artificially inflate asset prices. Meanwhile, the massive debts our country — and Europe — has will continue to mount. The cost of servicing the rising debt will become more and more burdensome. And this will go on until the entire house of cards on both sides of the Atlantic comes crashing down. We’ve already seen the first phase hit, and pass. We’re now in the middle of the eye of the storm, where there’s relative calm. But soon, the next phase, the next wave of the storm will hit. It will be the worst phase of this great financial crisis. It will tear apart everything you thought you knew about the world, about your world, about your wealth, your children’s future, your grandchildren’s future. 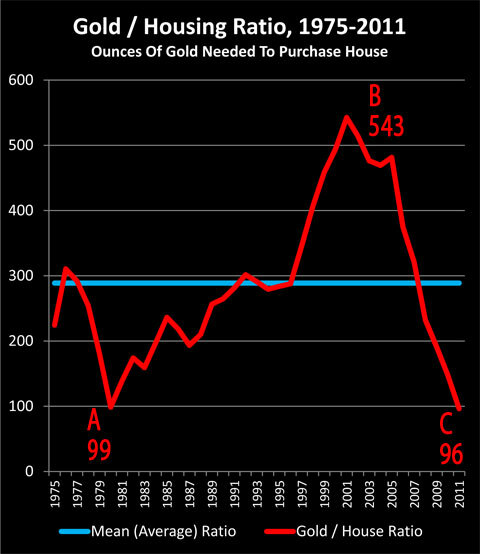 It’s where gold will soar to well over $5,000 per troy ounce. Silver to over $150. Oil to near $200. Food prices to the moon. Interest rates surging. And more. And then, when the house of cards finally comes crashing down, world leaders will finally get together to change the world’s monetary system to wipe out and forgive bad debts and to start anew with a fresh balance sheet. In the end, when it finally becomes apparent that no amount of money-printing, tax hikes or austerity measures will fix the sovereign-debt problems of Europe and the United States, world leaders will meet and agree to two basic steps for the foundation of a new world monetary system ... Monetize most, if not all, of the Western world’s debt (temporarily sending gold to well over $5,000 an ounce). Create a new world reserve currency, tied to a commodity basket and administered by the International Monetary Fund. I also suspect that at some point, as far-fetched as it may sound, world leaders will also consider a debt-free banking system. One that mimics, at least in part, the Islamic banking system where Sharia law forbids usury and interest and, instead, works on the basis of “Profit-Loss Sharing,” or PLS. Put another way, the bank becomes your partner in your home or your business, instead of a lender. We have a long road ahead of us. But as I said at the outset, I believe the crisis the world is going through will eventually give birth to a better world for all of us. It just won’t be easy getting there. It will be a trip through hell. Right now, most markets are still consolidating and looking like they will retest important support levels, as I have been expecting. Gold is starting to slide; so are silver, oil and many other commodities. So while downside is still present, and there are opportunities to make money on the downside, never forget that there is one asset — bar none — that you should own for the longer term. It’s gold. There is nothing better than gold. If you own gold already, hold, and wait for my signals to add more gold. If you don’t own gold, get ready to buy — either on a decline back to major support levels, or a full-blown breakout to the upside above $1,823. Flashback: George Soros thoughts on Obama vs. Romney! John Perkins: What wrecked our economy & how to fix it! The annual lighting of IMAGINE PEACE TOWER took place in the evening at 8pm local time on the island of Viðey in Reykjavik, Iceland in honor of all the activists of the world; past, present and future. She asks everyone to join together and let the power of light become a collective expression of the desire for peace and harmony on the planet. Dazzling northern lights as they dance against the night sky around the light tower. 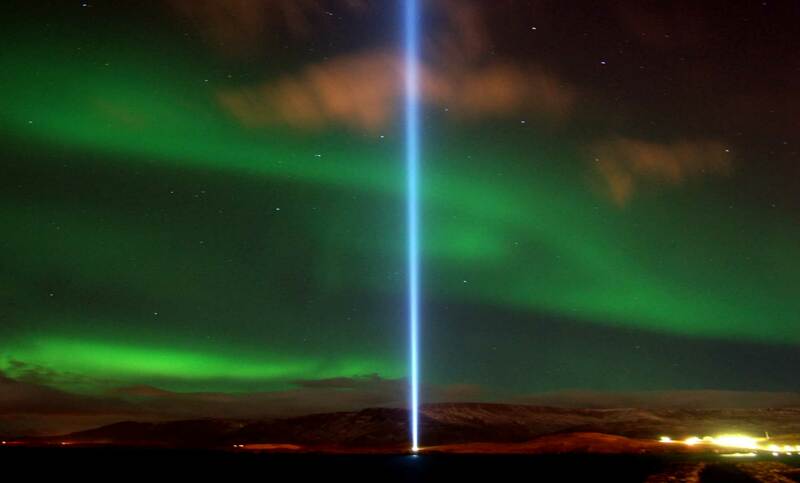 IMAGINE PEACE TOWER was relit by Yoko Ono in Reykjavik on Oct 9th 2012. It will relight every night until Dec 8th, then Dec 21st–28th & Dec 31st 2012. Sean Brodrick's advice for the next 12 months. That should get your brain-cells twitching! Blindsided by QE: Why Global Investors Can't See Geopolitical Threats that May Drive Markets Sharply Lower. Forbes: Global investors are in danger of being so blindsided by several rounds of Quantitative Easing (QE) by the FED, the ECB, and Bank of Japan that they cannot see the geopolitical threats which could unsettle financial markets — and wind up costing those who are on the wrong side of the market a great deal of money. I’m talking about the proliferation of the European sovereign debt crisis, and the escalation of crises in the Middle East and between China and Japan. The bottom line: QE may offer complacency to global investors. But it can’t eliminate economic and political risks that threaten to disrupt trade and financial flows across countries. 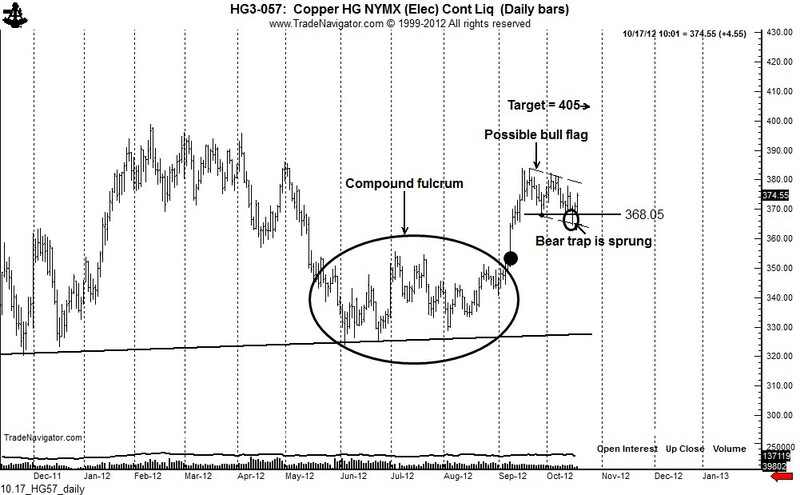 Peter Brandt: Special Chart Analysis of the U.S stock market. Sean Brodrick: 5 Ways to Profit with President Obama! Harvard psychology professor and bestselling author Steven Pinker: Taboos,Political Correctness & Dissent. Record Container Ship Deliveries Expected in 2013. Oct.19--2013 will see a record number of container ship deliveries, which will boost the global fleet by 9.5%. Oct.19--European shippers expect trade volumes on their trade lanes to continue to decline ,according to the latest Stifel Nicolaus Logistics Confidence Index. Ashraf Laidi: History Favouring Euro’s Trend Breakout - October 18, 2012. In each of the last six cases since 2002, whenever EUR/USD broke above one of its three main long-term moving averages (55, 100 or 100 week MAs), it proceeded to break above the other two moving averages. With EUR/USD breaking above its 55-week moving average, it is set to cross above its 100-WMA (currently 1.3430) and 200-WMA (1.3533), which are 3.50% and 3.70% above the current market price of $1.3099. The road to $1.35 remains intact. Spain 10-year yields are down 50-bps from Sep 28 piece “Win-Win for Bonos & BTPs?”, while Italian 10-year yields (BTPs) are seven-month lows below 4.80%. Meanwhile in Greece, EU officials may finally approve the €31.5bn tranche of the €130bn rescue package. 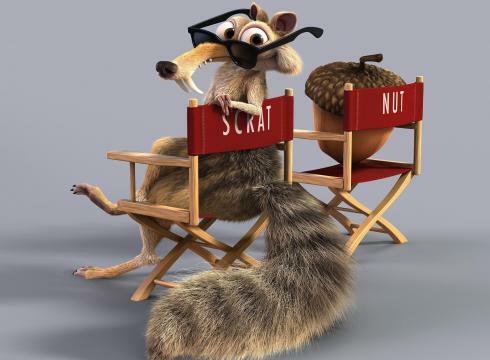 Even Germany is insisting that the remaining installment (originally due to be paid in June), will be released after ‘troika’ team complete its report on Greece’s compliance with reforms and austerity measures. One factor increasing the probability of Greece’s passing the “Troika Test” is the possible establishment of a special account for Athens to channel assistance from EU & IMF. The account will be strictly aimed at debt servicing instead of easing budget strains. Italy 10-year yield breaks below key trendline. The 200-month moving average is also under assault. If this important moving average is not re-established below the yield by end of month, the follow-through to 4.50% is most likely as will likely be the case for 5% yield in 10-year Spanish bonos. Such are two of the main ingredients for $1.35 EUR/USD recipe. Noam Chomsky: "The Emerging World Order: its roots, our legacy". A public lecture held on September 17, 2012 at Politeama Rossetti in Trieste, Italy. Fifty years later, Noam Chomsky reminds us of just how close we truly got to a self-induced apocalypse and why it came to that. It’s a chilling tale about the imperial urge to control the world, one that still couldn’t be more relevant TODAY. 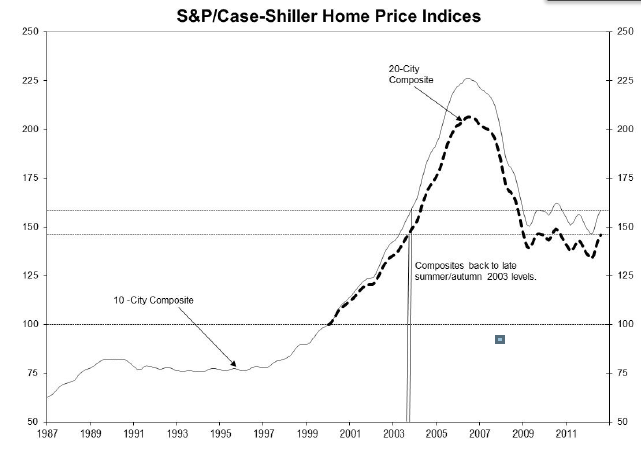 ZeroHedge: This Is The Housing Bubble Beneath The "Recovery". A Grim But Realistic Prognosis Of What Lies Ahead For The European Union. Dr. Karl Albrecht Schachtschneider, Professor Emeritus of public and civil law at the University of Nuremberg, gives a grim but realistic prognosis of what lies ahead for the European Union as the euro crisis inevitably worsens. 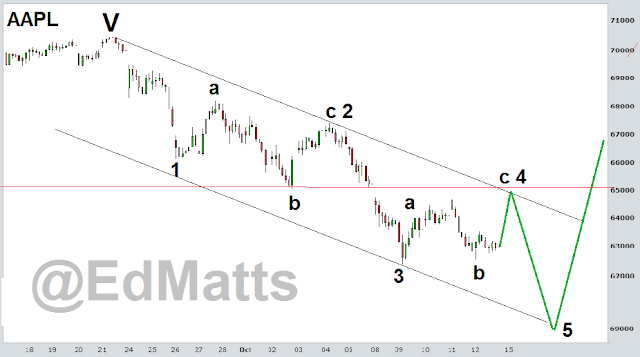 EdMatts: Now that the bottom of the $AAPL Barrel is in sight...this is how I'm looking to trade next step! 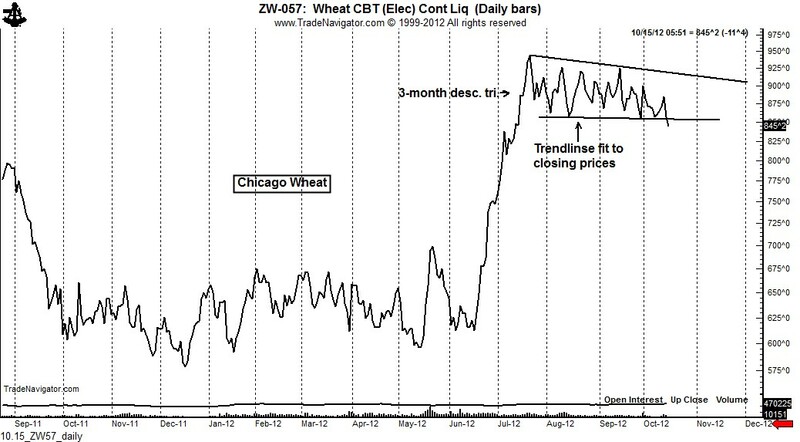 EdMatts: 'Amaizing' Corn analogy suggests consol & another dip below 700 before massive 1000 spike. 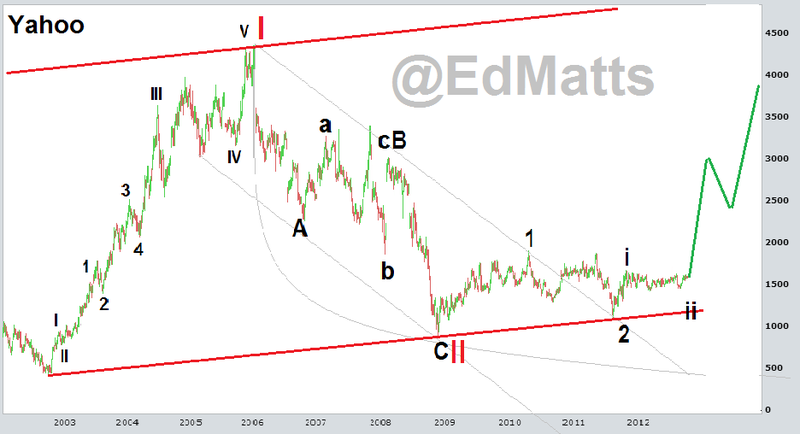 Ramki Ramakrishnan: Elliott Wave Analysis of the 10-year US Treasury Note. 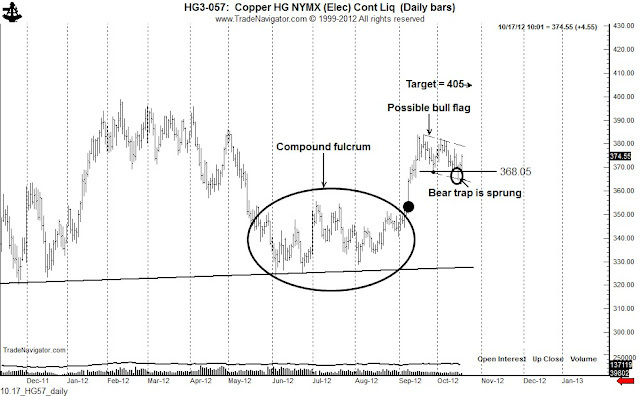 PeterLBrandt: $HG_F Copper has sprung a big bear trap. Tim Haefke: Price objectives for the S&P500 Futures (Not Cash) & 30-yr Bond. Kathy Lien on Her Approach to Forex Trading & Her View Of The Current Markets! Fresh four-year highs in monthly US building permits and housing starts at 894K and 872K respectively, are consistent with the 43% and 36% increase in US existing home sales and new home sales from their respective 2010 lows. “Good” US data no longer disappoints markets on the fear of discontinuing QE due to the Fed’s insistence to target further declines in unemployment (towards 7%) regardless of the trend in non-inflation macro data. The seemingly win-win reaction function between data releases and market performance works in providing buying on-the-dips at key support levels (illustrated below) as well as the testing and eventual breach of this year’s highs. Cross-market correlations continue to take precedence over individual fundamental factors in the functioning of equity, currency and commodity markets. The risk-on/risk-off dynamics, whereby risk currencies (ex-USD & ex-JPY) move in tandem with equity indices and most commodities, are most accentuated when event-risk is either omni-present (looming credit downgrade, eurozone bailout, central bank decision), or thoroughly out of the headline (Draghi’s OMT & Fed’s QE3 announcement). A most recent example of the aforementioned correlations is the synchronized pullbacks and rebounds along the June trendline support in equity indices, individual shares, energy and metals. Determining the causality, or the independent variable initiating the moves is usually the most challenging part of applying Intermarket dynamics, but the recurrent support levels in large/liquid markets such as EUR/USD (24% of +$5trillion /day FX market) and the S&P500 (followed by over $1 trillion in benchmark funds) can be used as a leading signal to help confirm moves or warn of false turns in other markets. Our positive stance on overall risk appetite throughout the second half of Q3 and the insistence for EUR/USD to visit $1.35 before $1.25 and for US crude to retest $96.00/barrel before $85.00/barrel is integral to the aforementioned set-up. Falling volatility in the VIX and EUR/USD one-month option volatility is fundamentally backed by traders’ unwillingness to buy volatility ahead of a looming policy freight train from the ECB and the Fed’s open-ended QE. 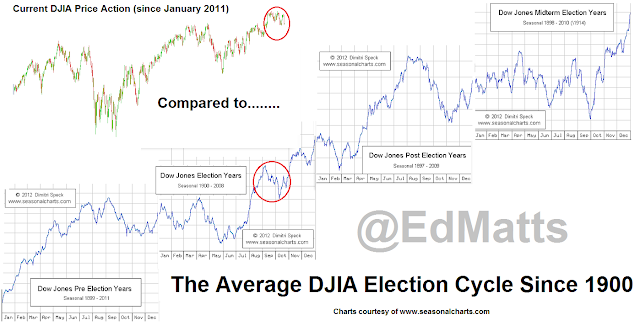 Expect volatility as we approach these key dates! 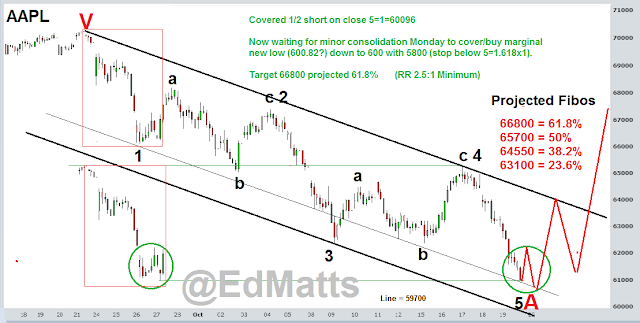 EdMatts: $AAPL still on course from last week. 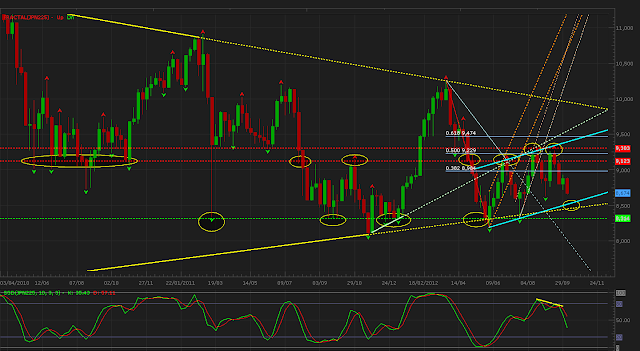 still risk of new low before failed run at highs. Economic Face Of Europe Looks To Get A Black Eye, A Busted Jaw And A Fiat Collapse. 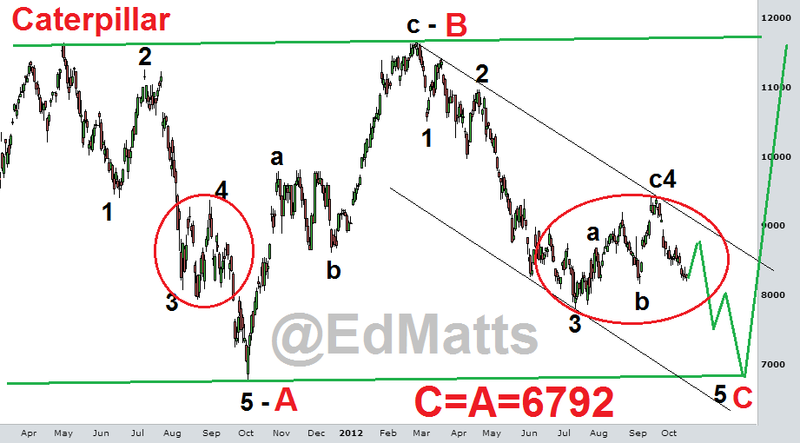 Japan's Nikkei225: The Big Picture Long Term! The latest headlines from Madrid imply that a formal request for aid is inevitable. Whether it takes the form of “applying” for credit line under the €500bn European Stability Mechanism (but not necessarily tapping it), or a full-fledged activation of the ESM, Spain is intending to stabilize market sentiment-without triggering the Outright Market Transactions. It’s also been said Madrid is concerned that full ESM activation may erode resources for Italy in case a request is later made by Rome. EUR/USD continues to prove that as long as the ECB is anticipated to trigger its OMT (contingent on Spain’s inevitable formal request for help), it shall remain supported above its 200-day moving average of 1.2820s. 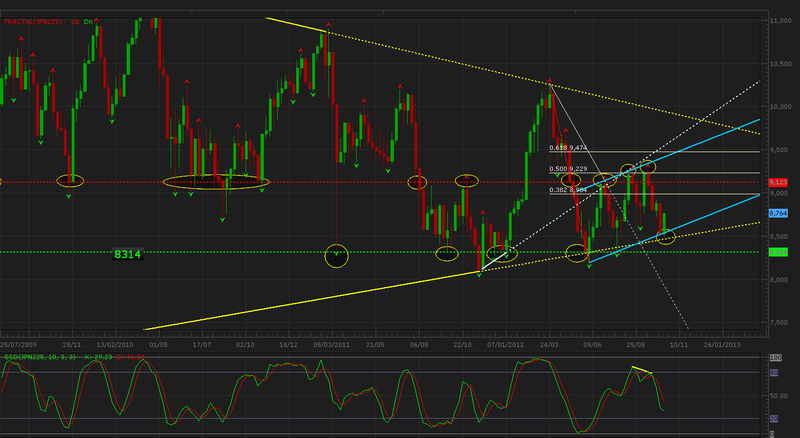 Yet, as long as Spain remains silent, traders are unwilling to lift EUR/USD above 1.3100s. EUR Volatility as measured by the one-month EUR/USD call (Euro equivalent of the VIX) drifts near its lowest level since 2008. Traders’ unwillingness to buy EUR volatility ahead of a looming policy freight train from the ECB is not dissimilar from traders’ gauging of VIX ahead of the Fed’s open-ended QE. Periphery yields are down 30% since their July highs. 10-year Spain bonds have fallen below their 200-DMA during the last three weeks, which is the longest period these yields have been below this key MA since March, one month after the LTRO 2. 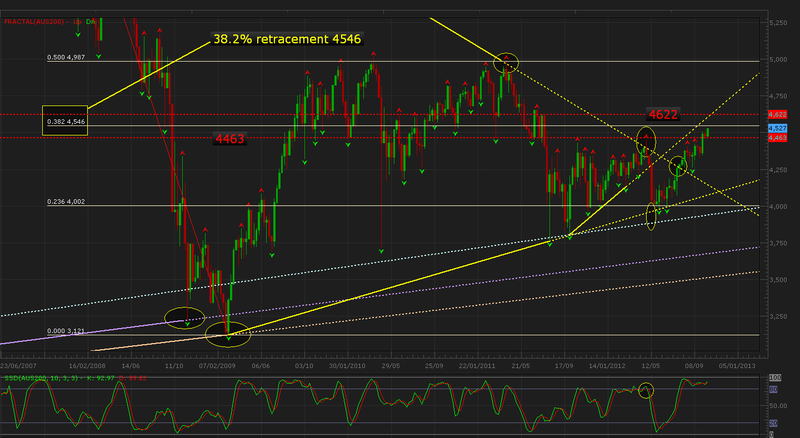 Italian 10-year yields are also down 30% since their July highs, and testing key support levels holding since Oct 2010. Greek bond yields are down 40% since the POST-default/rescheduling in February. FX and Equities continue to show the most aggressive reactions to policy decisions relative to peripheral bond spreads. 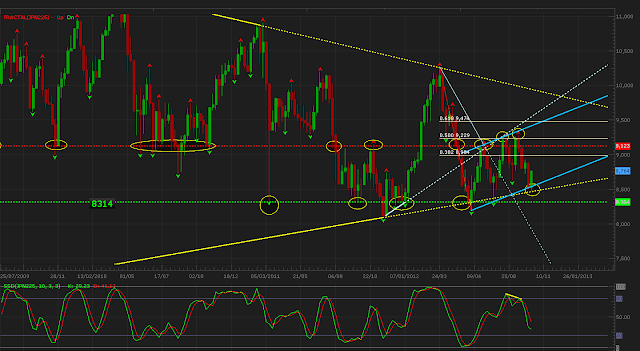 We stick with the $1.35 EUR/USD call by end of November made 3 weeks ago. 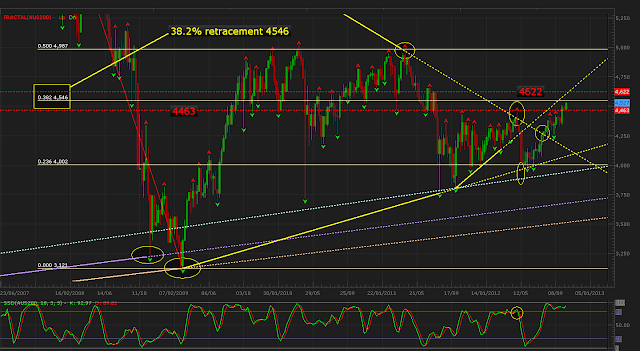 A break above the 1.3180 will be required to extend fresh momentum to the next barrier at 1.3440s—the 100-WMA. 106 remains intermediate objective on EUR/JPY since the call was made on Sep 19, with the rationale of BoJ rhetorical aggressiveness towards its currency and improved sentiment in the broader EUR pairs. 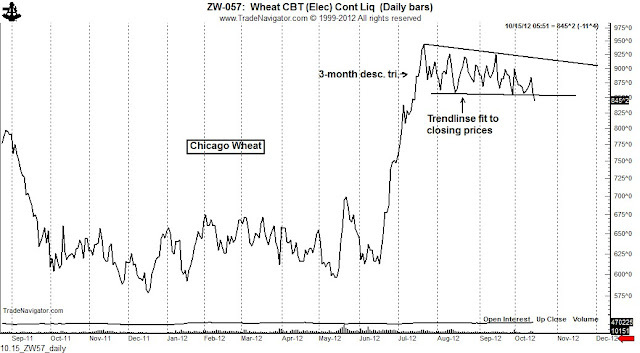 Peter Brandt: Chicago Wheat is building a potential top. A decisive close below 849 seals the deal. 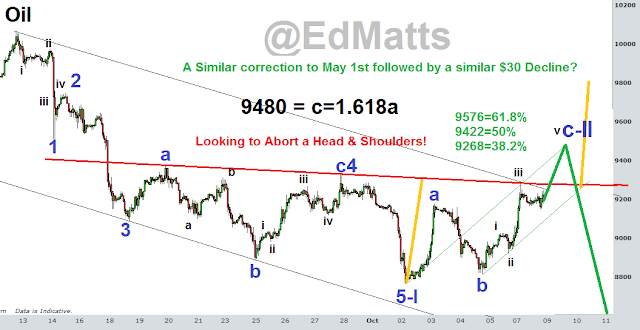 Should the market close below 849, then only a close back above 894 would return the trend to sideways or up. I would want the breakdown day to close clearly in the lower 1/4 to 1/3 of the daily range to gain confidence in the trade. EdMatts: $AAPL took 8 years to rally from 150 to 700..could $YHOO rally from 15 to 70 in 8 years? EdMatts: $CAT remains my Bellweather & reluctantly bearish for a final 6792.... then much higher! Zerohedge: The Top 15 Economic 'Truth' Documentaries. Gerald Celente: Founder & Director of the Trends Research Institute. Jamie Saettele: Technical Setups Suggest Stronger Stock Market and Weaker US Dollar. WANTED: For Shopping In The Beer Aisle! Wanted: For claiming to be a Bounty Hunter! A Conversation with Jamie Dimon. Jamie Dimon, JPMorgan Chase & Co.'s Chairman and Chief Executive Officer, discusses the state of the global economy at The Council On Foreign Relations. Interviewed by the council's president, Richard Haass. "It's only a matter of time. Could be 2 years, could be 5 years. But our day of reckoning on the DEBT is coming. That much is assured." Ashraf Laidi's 10-minute discussion on CNBC Squawk Box reiterates his case for $1.35 EURUSD target by November, based on techno-cycles, volatility trends and fundamental dynamics. Ashraf also touches upon the latest dynamics in peripheral bond yields against the moves in the single currency and the IMF's readiness to relax debt deadlines. Credit rating agency Standard and Poor’s has downgraded South Africa to BBB from BBB+; Oulook negative. This downgrade follows Moody’s rating action towards S.Africa by downgrading the country from A3 to Baa1 in September 2012. South Africa's Rand Daily Chart Analogy. In our view, the strikes in South Africa's minning sector will like feed into the political debate in the run-up to the 2014 elections, which may increase uncertainties related to the African National Congress’ (ANC’s) future policy framework. We also expect South Africa’s underlying social tensions to increase government spending pressure and reduce its fiscal flexibility. We now expect GDP growth to soften to not more than 2.5% in 2012, and the current account deficit to increase to at least 5.1% of GDP. We are therefore lowering the long-term foreign currency sovereign credit rating on South Africa to ‘BBB’ from ‘BBB+’, and the long-term local currency rating to ‘A-’ from ‘A’. The negative outlook reflects our view that the medium-term political, economic, and fiscal ramifications of South Africa’s social tensions could deteriorate beyond our current expectations. 3 Charts recently posted by A.Laidi that speak for themselves! "The fear I have is confiscation, the confiscation of my assets." "I think we are single digits away from the most profound market clearing moment, a 1932 or 1982." Japan is about to follow Europe's deep debt crisis, Kyle Bass tells CNBC on September 15, 2012, a hedge fund manager and founder of Heyman Capital.Although investors are focused on the situation in Greece and other European countries, Japan will soon reminded himself stated Bass. "Things in Greece will get out of control in the next 30 to 60 days," said the investor, who became known for his large short positions in subprime mortgage-backed securities before the collapse of the sector in 2007-2008. "Japan is a market crossroad ... I've never seen a more understated option throughout their lives, "he says. Bank of Japan effectively monetized the country's debt by buying Japanese government 50 trillion. yen, says Bass. There are many dangers associated with strategies of central banks trying to print his escape from the debt crisis. These are inflation and loss of confidence in the stability of the debt, says Bass. In his impending crisis is obvious. "The simple fact is that we are not talking about an exercise in quantitative easing. The question is when, not whether the system will collapse. " Japan's aging population and the burden of system benefits, are the main factors giving rise to the debt problems. Bass words as illustrated cites convicted of financial fraud Bernie Madoff fund manager. "He taught us anything," said Bass. "Can not promise anything, as long as you do not have to do them." As for Europe, Bass rejects the idea that Greece can adhere to contractual agreements. "The bankruptcy will be controlled and eventually they will have to abandon his promises to the Troika," he said, referring to the European Union (EU), International Monetary Fund (IMF) and European Central Bank (ECB). James Grant, founder and editor of Grant's Interest Rate Observer, will discuss why the Federal Reserve's policies of zero interest rates and massive purchases of U.S. Treasury and mortgage-backed bonds are dangerous to the economy and damaging to savers. 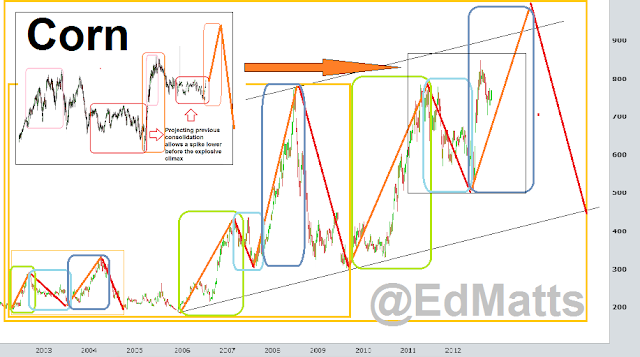 Nour Al-Hammoury: Gold/Oil Ratio Chart! 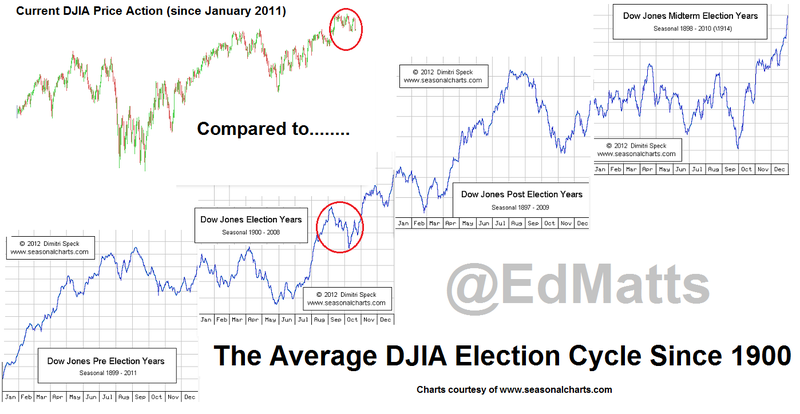 Last time this chart was posted back in July http://bit.ly/MUnNKR WTI advanced by 22.87% and SPX added 11.57%.... Will history repeat itself once again? Sean Brodrick: UK rates are at their cheapest since the Bank of England was created in 1694. Want to see a pretty stunning chart? It’s a chart of borrowing costs in the United Kingdom. You might say it’s pretty darned cheap to borrow money in merry ol’ England. In facts, rates are at their cheapest since the Bank of England was created in 1694. In fact, Britain has slumped to its longest double-dip recession in more than half a century. So why isn’t the British government using its low borrowing costs to, say, jump-start its economy with some public works projects? That would be the smart thing to do, according to every major economist in the world who isn’t on an ideological jihad. But Britain’s Conservative-led coalition believes austerity is the key to solving Britain’s problems. The Cameron government believes they must keep rates low, lest they turn into Greece. But I’d say that’s the least of your worries, mate. Austerity has killed growth, which has killed confidence, which has helped keep rates down. But it’s also turning the unemployed into the unemployable, and hollowing out the country’s industrial base. Americans should keep this in mind in the Presidential elections. One candidate is running on the austerity ticket. Be careful. You might just get what you SAY you want. 3- When French peasants stormed the Bastille on July 14, 1789, they weren't just revolting against the monarchy's policies. They were also HUNGRY. Lenovo knocks HP off computer top spot to become the world's No.1 PC maker. PC shipments to decline in 2012 for the first time since dot-com bust. 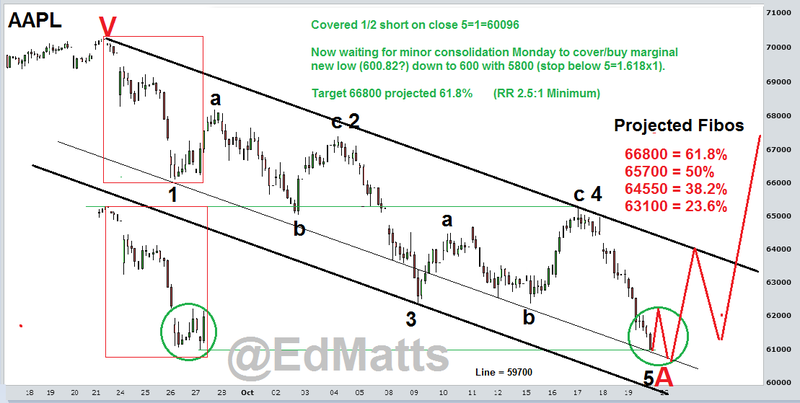 WTI Technical Analysis Update by EdMatts!